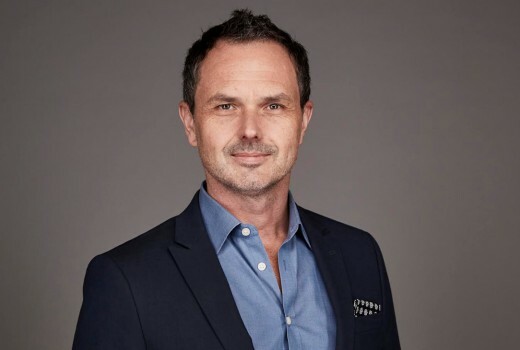 Foxtel’s Head of Production Duane Hatherly has resigned after more than 20 years with the Subscription TV company to pursue new opportunities. Hatherly joined Foxtel in 1996 ago as a graphics designer, straight off the plane from Toronto and made his way up the ladder in promos, administration, channel and genre management. He became General Manager, LifeStyle Channels and Head of Production in 2012 before being appointed as Head of LifeStyle Channels and Director of Production in 2014. During this time he has overseen innumerable shows including Australia’s Next Top Model, Selling Houses Australia (which this week won 3 AACTA Awards), Gogglebox, Project Runway Australia, Rove LA, The Contender, SLiDE, Cricket Superstar, River Cottage Australia, The Great Australian Bake Off, Helpmann Awards, CMC Music Awards and more. “After a great deal of consideration and some serious soul-searching, I have made the decision to move on from my role as Director of Production here at Foxtel. And it goes without saying that this was not an easy decision to make after 22 years with the company,” he said in a note to staff. “I am grateful that during that time, and over so many milestones, Foxtel has offered me the opportunity to take responsibility in almost every facet of television and broadcast. And for the last 6 years leading local production, I certainly felt that I had the best job in TV in Australia! We’ve created some terrific programmes and landed so many standout successes. Hatherly singled out Executive Director of Television, Brian Walsh, with gratitude, who in turn wrote a note to staff. “I completely understand Duane’s position and as difficult as this has been to accept, acknowledge that this is the right time for him to spread his wings. “It would be hard to find anyone who has demonstrated as much as loyalty and commitment to Foxtel as Duane,” Walsh noted. Hatherly departs on Thursday December 20.